In the fight against Daesh, also known as IS/Islamic State, Syrian forces have cut off a major road that the terrorists group used to access Turkey. The Syrian city of Manbij has been a stronghold for Daesh in the region along the Turkish border. On Thursday, the Syrian Democratic Forces (SDF) encircled the city, effectively cutting off supply roads. "We have reached the road that links Manbij and Aleppo, from the west," said Sharfan Darwish, a spokesman for the Manbij Military Council. But the city is also a key juncture on the terrorist group’s oil smuggling route. With Manbij cutoff, Daesh militants will be forced to take more difficult and dangerous routes into Turkey to sell their oil. "To 'reach the Turkish border from Raqqa,' Daesh terrorists have to take a route that is more dangerous, because of the presence of Syrian troops and Russian air strikes," Press TV reports, citing the Syrian Observatory for Human Rights. The city itself remains occupied by Daesh, but SDF forces are slowly closing in. Since the Manbij offensive began, 130 Daesh militants have been killed, as well as 20 SDF fighters. Nearly 20,000 civilians are still living inside the city, though many have fled due to the fighting. The SDF is comprised of Kurdish, Arab, Assyrian, Armenian, and Turkmen fighters, and are backed by the Kurdish People’s Protection Units (YPG). Earlier on Friday, a source told Sputnik that the Syrian Army gained control of an oil-pumping station and the Al-Tabka power plant in Raqqa province. Located near the city of Ar-Rusafa, several Daesh extremists were killed during the operation. The army was backed by both Syrian and Russian airstrikes. 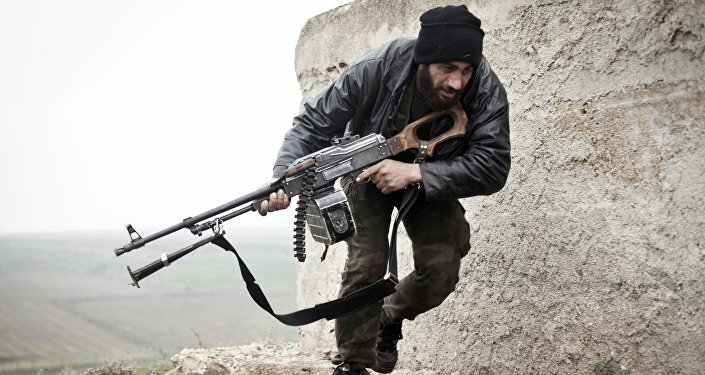 Syria has been mired in a civil war since 2011, with numerous opposition factions and Islamic extremist groups fighting government forces seeking to topple the government of President Bashar Assad. The Daesh terrorist organization is outlawed in the United States, Russia and several other countries.